We are just a day above Christmas and the deals aren’t showing any sign of stopping at all. 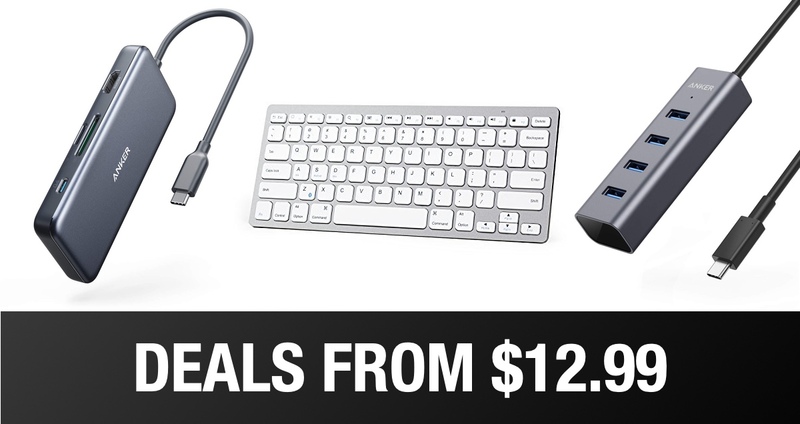 Anker has just chimed in and offering a ton of USB-C hubs for sale including Bluetooth keyboards. Basically, if you got an iPad or a MacBook for Christmas, then they accessories are an absolute no-brainer for you. Let’s dive right in and see what’s on discount on this wonderful day. All of the USB-C hubs listed above will remain on sale till the 15th of January. The keyboards, on the other hand, are only good till the 31st of this month. If you are going to pick anything up at all from the list, then better act fast otherwise you’ll miss a great opportunity to save some serious money.